Since Israeli forces started bombarding Gaza two weeks ago, over 500 Palestinians have been killed. Most of the dead are civilians and more than a fifth of them are children. Last Thursday, Israel also launched a ground invasion of Gaza. That the Parliament condemns Israel’s assault on Gaza; believes that, in this and similar operations, Israel has shown little regard for civilian casualties; understands that, as of 21 July 2014, over 500 Palestinians have been killed; notes the UN Office for the Coordination of Humanitarian Affairs estimate that over one-in-five of those killed are children; urges Scotland’s public bodies to disinvest from companies operating in Israel or occupied Palestine, and calls on the UK Government to pursue sanctions against Israel. The motion has already been signed by John Finnie (Independent, Highlands and Islands), Patrick Harvie (Green, Glasgow), Alison Johnstone (Green, Lothians), Christine Grahame (SNP, Midlothian South, Tweeddale and Lauderdale), Cara Hilton (Labour, Dunfermline), Malcolm Chisholm (Labour, Edinburgh Northern and Leith) and Jim Hume (Liberal Democrat, South of Scotland). You can see an up-to-date list of supporters on the Scottish Parliament’s website. “Over the last two weeks, Israeli forces have killed over 500 Palestinians in Gaza. Most of those killed are civilians; over one in five are children. “When we see the horrifying reports and pictures, it is easy to feel powerless. But we’re not powerless, and we’re not blameless. Without the ‘staunch support’ offered by Western leaders like David Cameron, the brutal occupation of Palestine could not happen. We all have a responsibility to stop our governments supporting oppression in our name. “I’m so proud that the Scottish Government has said our country welcomes Palestinian refugees and those in need of medical treatment. But without control of our own foreign policy, we need to demand that the UK Government act to end this assault and the occupation that gave birth to it. “If this was any other conflict, there would have been sanctions years ago. I’m asking the UK Government to pursue sanctions against Israel now, to show that we will no longer support the violent occupation. The first priority, as demanded by Amnesty International, should be a total embargo on weapons. “I’m also asking Scottish public bodies like local councils, universities and the NHS to look at their investments and withdraw money from companies that operate in Israel and occupied Palestine. Individual Scots can do our bit by boycotting Israeli goods, just as we did to help defeat apartheid in South Africa. 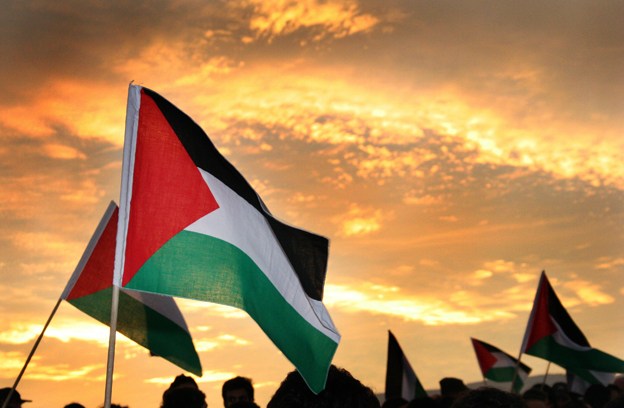 There will be a demonstration in support of the people of Gaza in Inverness High Street this Saturday, 26 July, from 12 noon until 1pm, and every Saturday while the attack continues. Jean spoke in the Labour MSP Claudia Beamish’s member’s debate on the desperate water shortages experienced in Palestine as a result of the Israeli occupation. You can watch her speech below (start at 45:00), and read the transcript of the whole debate at TheyWorkForYou.com. Find out more about the Thirsting For Justice campaign on Twitter and Facebook. Jean Urquhart (Highlands and Islands) (Ind): I thank Claudia Beamish and John Finnie for bringing this topic for debate in the Scottish Parliament. I do not know how else we can raise awareness of the appalling situation in Palestine. How do we in Scotland effect change? I have not been privileged to visit Palestine, but I listened to members who have had that privilege and who have been in the Gaza strip, and it seems to me that, as Alison Johnstone said, water is a basic human right that is being denied. The issue is being raised around the world by the United Nations, and yet the situation persists. This might be slightly irrational of me, but when John Lamont suggested that the situation, in which people must live in appalling conditions, is the fault of the Government in Gaza, I wondered whether Palestinians would say that people in Scotland deserve the welfare situation that we have here because it is our Government’s fault. The issue has nothing to do with that. I feel in my heart that real injustice is being done to the Palestinian people. It might be the case that the political situation needs to be resolved, and I know that the problem in the middle east is complicated, but we are concerned with a situation that is causing people to die and families to be driven apart. There are many visual images of the hardship that people are suffering. Books have been written and films have been made that show us the arid lands and the results of a deliberate withdrawal of resources, including water for arable lands—to feed the olive trees, for example. Water is needed to give life to the Palestinians. It is the source of life, and to deny the Palestinian people their right to clean water and sanitation is despicable. We can contrast those images with images of the lush growth in the settlements, where there is plenty of water. Members cited the facts and figures. We heard about people having access to 70 litres as opposed to 340 litres, and we heard that in the west some of us have the luxury of access to 4,000 litres per day. I hope that the thirsting for justice campaign has huge success and that we can reach the hearts and minds of people who care about the Palestinian people. There are Jewish organisations and Israeli people who feel that the situation should not be allowed to continue. Not everyone in Israel thinks that the situation is somehow justified or okay. If the Scottish Parliament can do anything, I hope that we will try to unite with such people to effect change. Change for the Palestinian people might have to come as a result of Israelis talking to Israelis. However, let no one be uncertain about the feeling in this Parliament. The situation is untenable and cannot be allowed to continue. I thank Claudia Beamish and John Finnie again for bringing this timely debate about a desperate situation that we must all try to alleviate. On Tuesday morning Jean will be working in her parliamentary office, holding her usual weekly meeting with staff. In the afternoon Jean will be meeting with representatives from Ofgem, before Jean attending a CPG Poland meeting and a reception for Abellio, one of the companies currently bidding for the Scotrail franchise, in the evening. Later on Jean will be attending a ‘Walk the Walk’ Dinner. This event will assist Walk the Walk identify areas of investment and to consider how Walk the Walk can make a difference in Scotland. Jean will be taking part in the Finance Committee in the Parliament on Wednesday morning. In the afternoon she will be asking a question about what the timescale will be for the introduction of areas of natural restraint to replace less favoured ones during the debate about rural affairs. Following this debate Jean will be meeting with representatives from The Crown Estate. For the rest of the afternoon, Jean will be in the Chamber for the Budget Debate before attending the cross party group on Palestine, which will be discussing the film ‘Children in Chains’ by Jonathon Pullman about the abuse of Palestinian children in the Israeli Military Court System. Jean will be attending a breakfast reception at Dynamic Earth. The Scottish Contractor’s Group (SCG) is launching its Creating Scotland’s Future Campaign. The campaign highlights the benefits to the Scottish economy of investing in construction, and the work and training opportunities local projects can create. At noon, Jean will be attending First Minister’s Questions in the Chamber. In the afternoon Jean will be working in her parliamentary office. Jean will then be travelling through to Glasgow to speak at the opening of the Gaelic and Scots showcase at the Lomond Foyer, Glasgow Royal Concert Hall. This event is part of the Celtic Connections Festival which takes place in Glasgow. On international Human Rights Day (10th December), Independent MSP for the Highlands and Islands Jean Urquhart has given her backing to Amnesty International’s Write For Rights Campaign 2013. Taking part in the campaign, Ms Urquhart has written in support of the people of the Palestinian village of Nabi Saleh, who are routinely fired on by the Israeli military during their weekly peaceful protests against the Israeli occupation. Amnesty’s annual global campaign runs from 1 November to 31 December and highlights human rights abuses taking place around the world while others are celebrating the holiday season. Ordinary people everywhere are asked to send a message of solidarity and hope, or to appeal directly to the relevant government in the country where the abuse is taking place. Amnesty are asking Scots to write in support of one of 13 priority cases of human rights abuse around the world. Jean, who is Co-Convenor of the Scottish Parliament’s Cross-Party Group on Palestine, has written to Israeli Minster of Defence Moshe Ya’alon to urge him to stop the use of violence against peaceful demonstrations in the Palestinan village of Nabi Saleh. Much of the agricultural land and water supplies of Nabi Saleh have been seized for for use by the illegal Israeli occupation settlement of Halamish. The armed forces of Israel have responded to these demonstrations by firing tear gas canisters, stun grenades, rubber-covered steel bullets and live ammunition. The security forces’ violence has wounded hundreds including women and children, and killed two young men, Mustafa Tamimi and Rushdi Tamimi. “I am proud to back Amnesty International’s Write for Rights campaign to help them highlight these appalling human rights violations. “On the day we commemorate Neslon Mandela’s successful fight against apartheid in South Africa, it feels right to be joining Amnesty International in speaking out against another human rights abuse on a grand scale – the violent subjugation of Palestine. “The people of Nabi Saleh have been denied their livelihood, their land and water stolen by the occupying Israeli forces. But when they try to protest, exercise their human rights to assembly and expression, they are shot at by one of the most heavily-armed militaries in the world. “Mustafa Tamimi, 28, was killed by a tear gas canister shot from a grenade launcher into his face at close range. Rushdi Tamimi, 31, was shot in the back after a commander ordered his unit to fire live ammunition just because they’d run out of tear gas. “Even though the Clearances were 200 years ago, we in the Highlands still carry a deep and painful understanding of what it means when land and livelihood is ripped away from the people. In Palestine, far worse human rights abuses still happen every day. I would encourage everyone to join me in opposing the violence against Nabi Saleh, or any one of the other 12 equally appalling cases of human rights violations that are highlighted by the Write For Rights campaign. “I would like to thank Jean for taking part in our Write for Rights Campaign and helping raise awareness of the cases we have chosen of ordinary men and women who are having their human rights taken from them in the most appalling ways. Readers can take part in the Amnesty International Write For Rights campaign 2013 by visiting https://www.amnesty.org.uk/write-rights-2013. 1.Jean Urquhart’s letter to Minster of Defence Moshe Ya’alon can be downloaded at http://bit.ly/1f6oP3z (PDF). That the Parliament notes that 1 November 2013 marks the start of Amnesty International’s annual worldwide greetings card and letter-writing campaign, Write for Rights; commends the campaign, which aims to send messages of hope and solidarity to people who experience human rights abuses; believes that the campaign can have a positive impact on their circumstances, especially when authorities see that people worldwide are watching their actions, and encourages elected representatives and people from across Scotland to take part and exercise their freedom of expression in defence of human rights across the world. 3. Jabeur Mejri – imprisoned in Algeria for seven and a half years for posting a picture of Mohammed on his own Facebook page. 4. Afghan Women’s Skills Development Centre – This group of pioneering women’s rights activists set up the first ever shelter in Afghanistan for women escaping violence. Today there are around 20 shelters, a network that has helped 1389 women, girls and dependents. 5. The Bolotnaya Three – Vladimir Akimenkov, Artiom Saviolov and Mikhail Kosenko were detained during protests against Vladimir Putin’s rule in Moscow, in May 2012. Initially released, the trio were arrested again the following month and charged with participating in a ‘mass riot’. Since then the men have been held in custody, which is taking a toll on their health. All three firmly deny the charges and video footage supports their claims. 6. COFADEH – one of the Honduras’ main human rights organisations, seeking justice for human rights abuses by security forces and ‘disappearances’ in the 1980s. Since 2011 the number and severity of incidents against CPOFADEH staff has intensified, with death threats, harassment and attacks. Female members have also been threatened with sexual violence. 7. Ihar Tsikhanyuk – a LGBTI rights activist, who unsuccessfully attempted to register Human Rights Centre Lambda, with the Belarus authorities. He was subsequently questioned by police, who subjected him to physical and verbal abuse because of his sexuality. 8. Kalpana Chakma – the organising secretary of the Hill Women’s Federation, which campaigns for the rights of indigenous peoples in the Chittagong Hill Tracts, Bangladesh. On 12 June 1996, she was abducted from her home by plain-clothed security officers. Aged 23 at the time of her abduction, she has never been found since. 9. Laísa Santos Sampaio – a member of a group that promotes sustainable development in Nova Ipixuna municipality in Pará state, Brazil, she has been the target of persistent death threats since 2011. 10. Miriam López – Abducted after dropping her children off at school in February 201, Miriam was raped and tortured for a week until she signed a statement falsely implicating herself in drug offences. She was imprisoned and released seven months later. No-one has been brought to justice for the torture and sexual violence she suffered. 11. Dr Tun Aung – a community leader in Burma who has been sentenced to 17 years’ imprisonment after an unfair trial, in which he was accused of inciting riots in 2012 despite independent eyewitnesses confirming that he actively tried to calm the crowds and played no part in the violence. 12. Nabi Saleh – a village in the Occupied Palestinian Territories, whose 550 residents face frequent violent repression from the Israeli army for holding weekly peaceful protests against the Israeli’s military occupation and illegal settlement of Halamish, which has taken over most of their farmland.